Fly by ski aircraft to an Emperor penguin rookery on the remote, south coast of the Weddell Sea. Feel the spirit of discovery that has inspired Antarctic exploration and scientific research. This remote field camp offers you unparalleled access to the emperors as you witness their amazing adaptations to the Antarctic environment alongside expert guides. Immerse yourself in the sights and sounds of the Gould Bay Emperor Penguin Colony on the remote coast of the Weddell Sea. 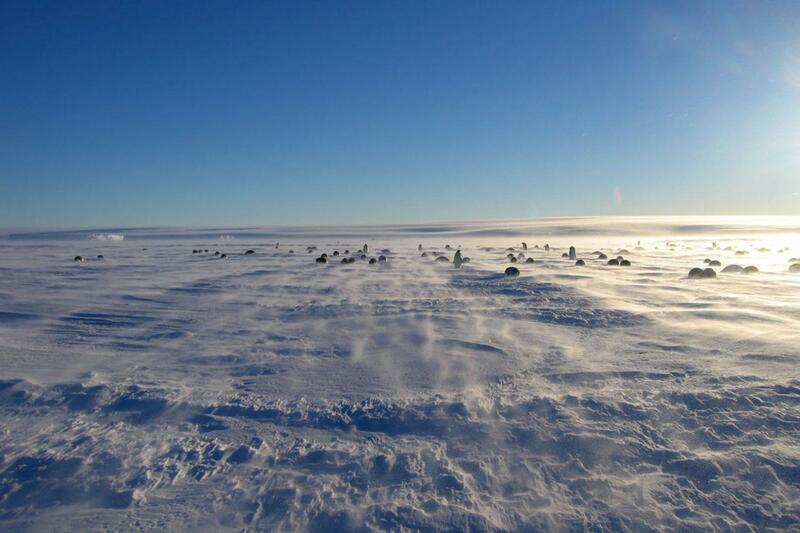 Camp on the same sea ice where thousands of birds come to raise and feed their young. Photograph majestic emperors and their chicks against a spectacular backdrop of ice cliffs, pressure ridges, and icebergs. Spot petrels and seals amongst the endless white expanse. 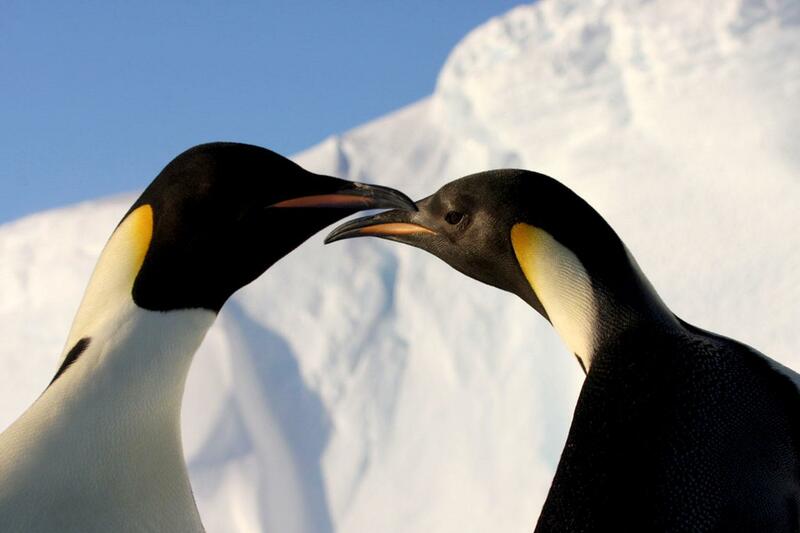 Fall asleep to a chorus of trumpeting calls and wake to find curious penguins outside your tent. DAY 1: FLY TO ANTARCTICA We will call you at your hotel in the morning to advise you of current conditions in Antarctica. If the weather is suitable for our flight, we will pick you up at your hotel within the hour. Please meet us in the lobby with hotel bills paid, ready to board the bus. At the Punta Arenas airport, we board our chartered jet for the 41⁄4 hour flight to Antarctica. Our route crosses the Drake Passage, then follows the west side of the Antarctic Peninsula and the spine of the Ellsworth Mountains. We land on a naturally occurring blue-ice runway on Union Glacier where you will take your first steps on Antarctica. Climb aboard one of our specially-adapted vans for the 5 mi (8 km) shuttle to our main camp. Our friendly staff will provide a welcome tour of camp and show you to your tent. *Every effort will be made to keep to the scheduled ight date and we will depart as soon as weather and runway conditions permit. Please understand that delays are common in Antarctic travel. All flights are dependent on weather, aircraft serviceability, and local conditions. Our staff will stay in close contact with you and will provide you with regular flight updates. DAY 2: EXPLORE UNION GLACIER Guests usually enjoy a few days at Union Glacier as part of their experience. A typical day at Union Glacier starts with a briefing after breakfast where you’ll meet with your guide to discuss the day’s options and choose an activity tailored to the weather and the group’s interests. Union Glacier excursions can include any of the following destinations: Elephant’s Head Ride in one of our vehicles to this dramatic marble buttress overlooking the blue-ice runway. Beautiful ice pools and moraines offer endless opportunities for photography. If you’re looking for something more active, you’ll have the opportunity to hike up to the base of Elephant’s Head or all the way to the top of Rhodes Bluff for panoramic views of Union Glacier and the Heritage Range. Drake Icefall Named in the 1960s after geologist Benjamin Drake IV, this impressive icefall tumbles off the polar plateau into Union Glacier. Winds from the South Pole carve huge waves into the blue-ice and polish the surface into a high shine. Charles Peak Windscoop Discover the power of wind on ice as you wander through a sparkling turquoise corridor. If you’re truly adventurous, this is a prime place to try ice climbing with one of our experienced guides. For the less vertically inclined, you can rock hunt to your heart’s content. Just remember to leave them in place, as nothing may be removed from Antarctica. The Beach at Rossman Cove Another spectacular setting for blue-ice photography and panoramic views! Take cross-country skis with you or a picnic lunch and enjoy Antarctica’s version of a glacial beach getaway. Hidden Valley The staff’s favorite getaway—this secret canyon opens up to a beautiful valley prime for hiking, climbing, and backcountry skiing. If you’d prefer to stay closer to camp, we have a variety of activities for all abilities. You can check out a pair of cross-country skis or a fat-tire bike and take a spin around our groomed 10k loop or you can enjoy a cup of tea, an Antarctic book, or fun game in our camp library. In the evenings, we regularly offer lectures and films tailored to your experience. 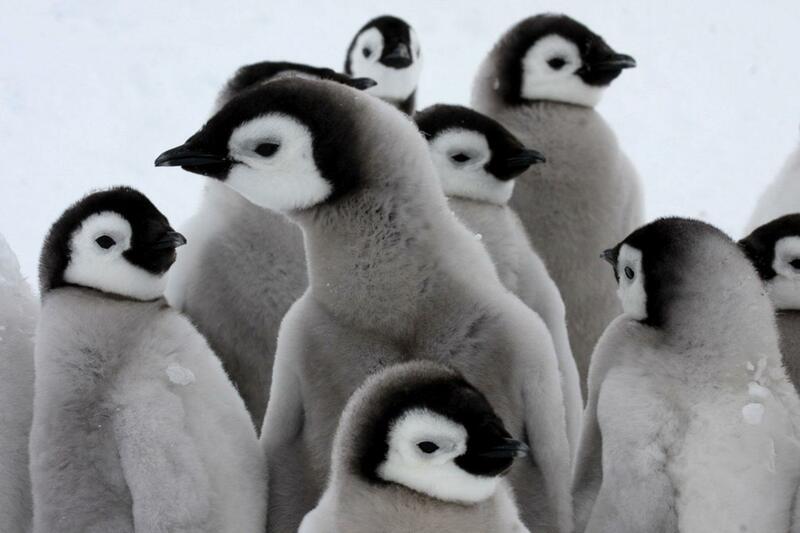 Before you depart for the colony, we will review the Emperor Penguin Colony Visitor Guidelines. DAY 3: FLY TO EMPEROR COLONY As soon as weather conditions permit, we will fly to the colony. The flight takes about 4 hours, traveling north-eastward over the Ronne Ice Shelf and Berkner Island where we may stop to refuel if necessary. 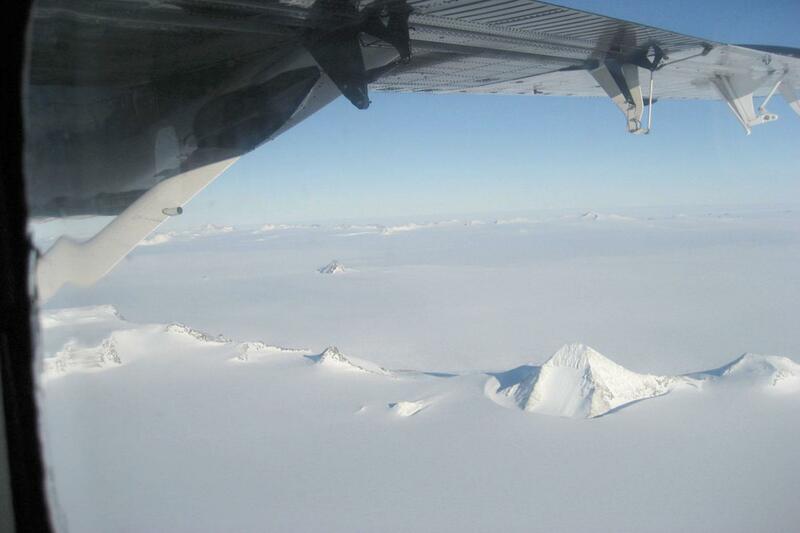 We land on sea ice where our staff has prepared a field camp 1-2 mi (2-3 km) from the colony. Our Emperor Field Camp Manager will give you a tour of the camp and review safety procedures for travel to and from the colony. In this unfamiliar environment and remote location, it is vital that you follow the instructions given by our experienced staff. Your safety and the protection of wildlife are the top priorities. DAY 4-6: LIVE WITH THE EMPERORS Immerse yourself in the sights, sounds, and rhythms of the colony. Walk to the colony with our experienced field guides to photograph penguins, seals, and seabirds. 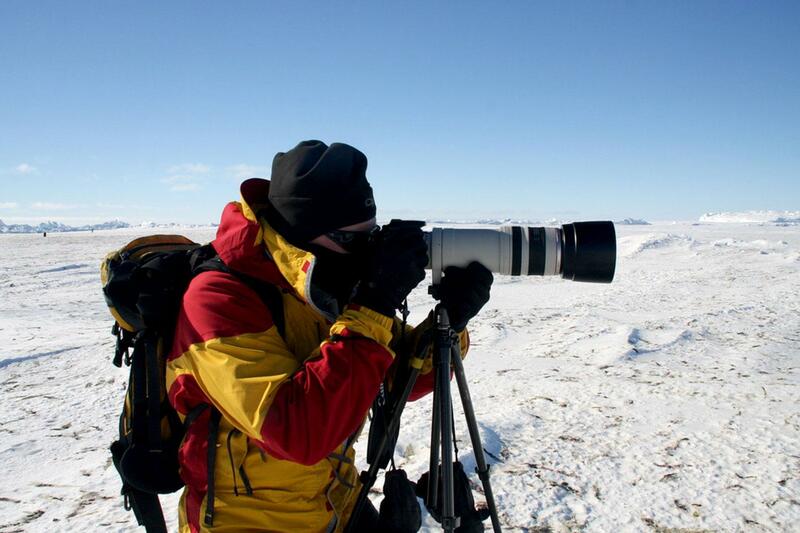 We provide small sleds and walking poles to help transport your camera equipment between camp and the colony. The sea ice generally provides a hard surface to walk on. 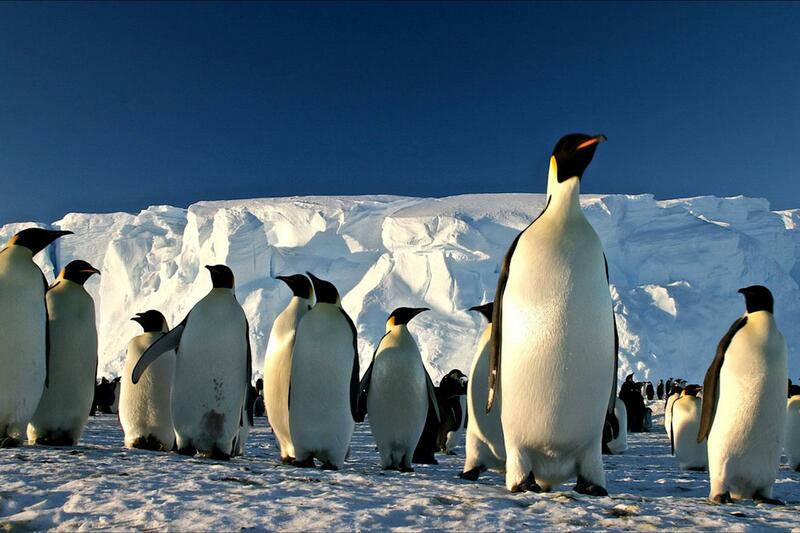 We make every e ort not to disturb wildlife and strictly adhere to Emperor Penguin Colony Visitor Guidelines. These guidelines include maintaining a precautionary distance of 17 ft (5 m) away from all wildlife. Our guides are on hand to answer any questions you may have about the wildlife and their unique adaptations to the Antarctic environment. 24-hour daylight allows us to adapt our schedule to the best weather and lighting for photography. While our guides are happy to accommodate individual requests, keep in mind this is a group activity and we may not always be able to offer one to one guiding. Please discuss your wishes with the guides in advance so they can tailor the camp schedule to include meals and sleep for everyone. DAY 7: RETURN TO UNION GLACIER Our field staff will stay in close contact with Union Glacier Camp to identify the best ‘weather window’ for your return flight. DAY 8: EXPLORE UNION GLACIER Depending on flights, you may have a few days at the end of your experience to explore more of Union Glacier. You will also enjoy a celebration dinner and receive a certificate to commemorate your Emperor Penguins Experience in Antarctica. DAY 9: RETURN TO CHILE When weather and runway conditions permit, our intercontinental aircraft will arrive at Union Glacier to transport you back to Chile. Our staff will meet you at the airport and transfer you back to your hotel. FLEXIBLE DEPARTURE DAY: FLY HOME We recommend booking your flight home one week after your return Antarctic flight. If you purchase a full-fare ticket, most airlines will allow you to move your departure date. It is important to give yourself a buffer as delays are common in Antarctic travel. The Punta Arenas team can provide a list of local tour operators and excursions if you wish to explore Chile before you return home. When it is time for your flight home, the staff will provide transportation from your hotel to the Punta Arenas airport. 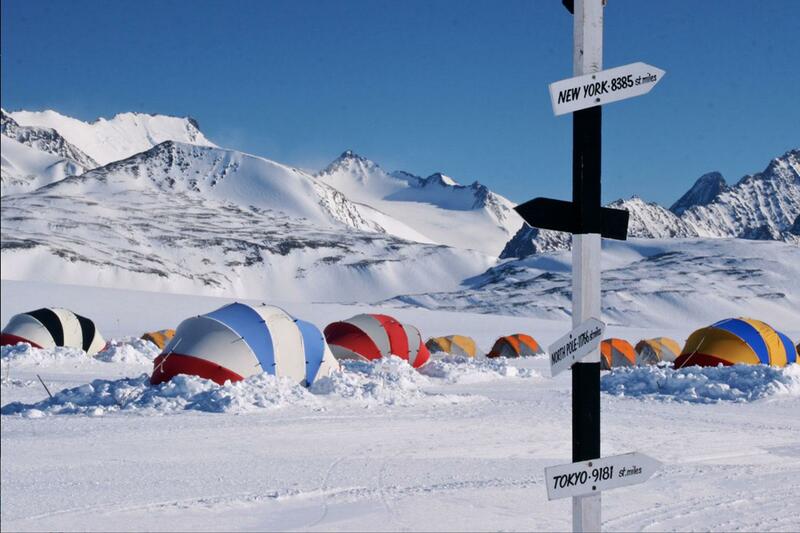 This unique Antarctic campsite is located in the remote, southern Ellsworth Mountains, on the broad expanse of Union Glacier. This is the only facility of its kind in Antarctica. 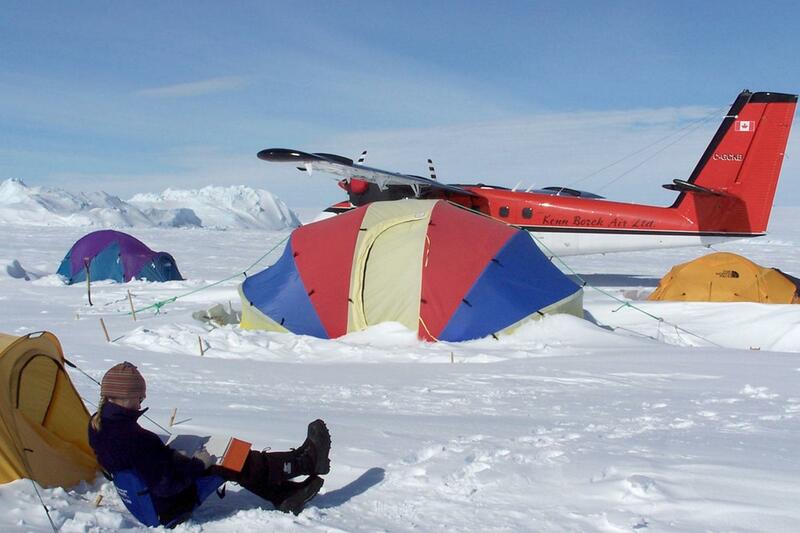 The full-service camp operates during the Antarctic summer (November through January). 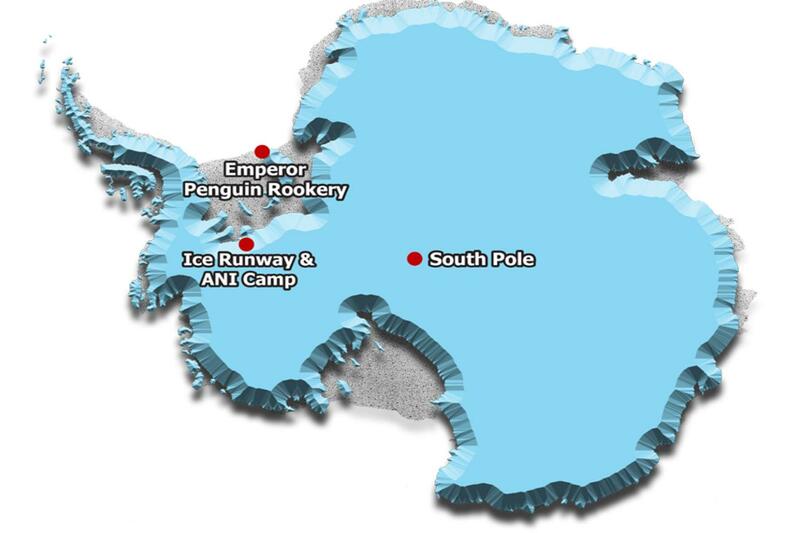 The camp maintains and operates an ice runway, a separate skiway and an efficient logistics hub to provide support to private expeditions and National Antarctic Programs. Union Glacier Camp is only accessible by air and your journey begins with a 4 ¼ hour flight from Punta Arenas, Chile. 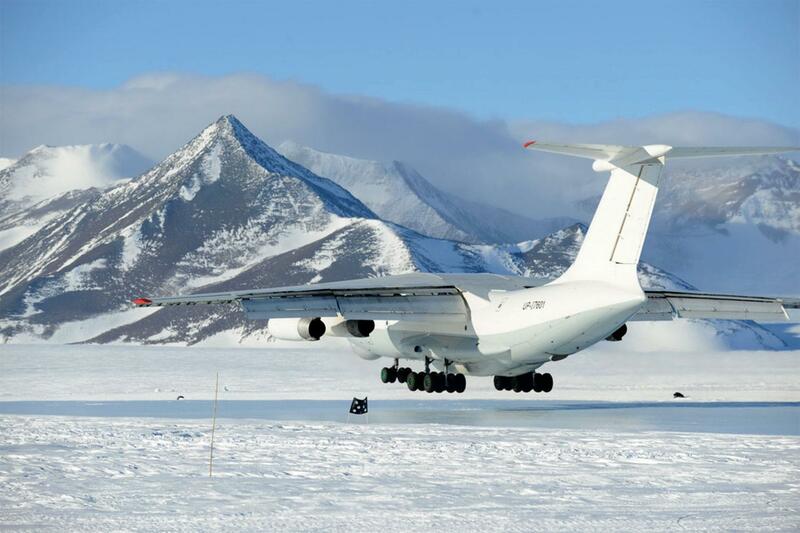 The wheeled aircraft lands on a naturally-occurring ice runway on the Union Glacier, where you take your first steps in Antarctica. Climb aboard one of the specially adapted vans for the 5 mile (8km) ride to camp, where a warm welcome awaits you. The atmosphere is relaxed and welcoming at the Antarctic camp at Union Glacier. You’ll find roomy, double occupancy sleeping tents; a spacious dining hall; fresh delicious meals; and a spectacular setting. You’ll be surprised how comfortable Antarctica can be! This full-service camp is designed for Antarctic conditions and with best environmental practices in mind. It operates during the Antarctic summer (November through January) and is dismantled at the end of each season. The setting is spectacular. The accommodation spacious and comfortable. The meals fresh and delicious. The service and support unparalleled. Majestic peaks rise in all directions offering plenty of opportunities for scenic excursions, technical climbs and ski tours. At camp there is little wind, providing a comfortable environment to relax and take it all in. At each turn a new experience awaits. Take in wide open vistas from the top of Charles Peak. Explore ice pools in the Elephant Head Valley. Ramble along multi-colored Spectrum Ridge. Cross country ski over frozen fields of sastrugi. Photograph wind sculpted clouds, unusual snow features and a thousand shades of white. Navigate using GPS. Carve snow sculptures. Or simply relax and take it all in. For the more adventurous, try ice climbing on the massive windscoop surrounding Charles Peak, scramble up the serpentine Ridge of Mount Rossman or camp out on the polar plateau. Two twin-engine, ski aircraft transport passengers, cargo and fuel beyond Union Glacier Camp. The ski aircraft park to one side of camp and use a separate skiway. The Gould Bay (Emperor Penguin), ski expedition, climbing and other field camps are more basic. Equipment must be lightweight and portable, yet still strong enough to withstand Antarctic conditions. You sleep in mountaineering-style tents and eat a combination of fresh-frozen meals, prepared by the chefs at Union Glacier; and de-hydrated meals. Deposits Reservations require a deposit of US$5000 per person at the time you receive a booking confirmation from Expeditions Online. A payment link will be sent to you and this may be paid by major credit card. Bookings within 90 days of departure require full payment. A number of mandatory forms will also need to be completed and will be sent to you following deposit. Final Payments Balances are due 90 days prior to departure and may be paid by bank transfer. Cancellations All requests for cancellation must be received in writing to Expeditions Online. Cancellations received 90 days or more prior to departure, are refunded less a fee of $1000 per person. If cancellation occurs less than 90 days prior to departure, all payments are forfeited. If full payment has not yet been received, the full penalty will still apply and any unpaid balance is due immediately. We strongly recommend that you obtain adequate trip cancellation insurance. Booking Terms Please read carefully the Terms and Conditions for Expeditions Online (link at the bottom of this page). This expedition is operated by Adventure Network International and you additionally travel under their terms and conditions as the operator. Details will be forwarded to you at the time of booking.